Projects - Economic Transformations Group, Inc.
Over the past few years, ETG has been increasing its involvement with sustainable development projects, clean tech, and biotech. As our work continues to evolve, we are excited to find that there is increasing global consensus that sustainable business practices and products are the key foundation for future prosperity. Our strengths in empowering leaders and catalyzing innovation are more relevant than ever as we support regions and communities in the process of creating sustainable economies. ETG managed a collaborative process to create an Action and Resource guide for a 10 year city initiative - Sustainable Cleveland 2019. The Guide integrated economic development and sustainable development principles into an action-based strategy to engage businesses, citizens, and government. ETG has been engaged to offer consulting on an on-going basis. 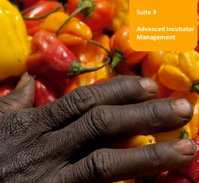 Throughout 2011, ETG has been working with InfoDev, a division of the World Bank, to design training for agricultural business incubator managers around the world. The project included investigation of case studies for promising practices, analysis of business opportunities, detailed interviews with incubator managers in all key regions, and the design training materials, and an initial training the trainer engagement in Finland. Work by ETG members will be ongoing. 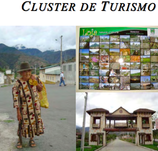 ETG managed and implemented a cluster project in Loja, Ecuador. Sector focuses included coffee, tourism, creative Industries, and a ground breaking cluster in biodiversity/ ecosystem services. ETG managed a cluster process for several industrial sector in Minas Gerias Brazil, including biotech, fruit, furniture, foundary, and women's apparel. The process involved stakeholder and asset mapping, sector analysis, network development and stabilization, and collaborative based strategy development and implementation.